I played through Homeworld last week. This is something I’ve been doing pretty much every year since Relic’s flagship game wowed audiences at the 1999 E3 awards. I can usually feel the beginnings of the urge by the end of summer; by October the mothership is launched into low Kharak orbit and exiles are once again on their way to reclaim Hiigara, their ancient homeworld. Clearly there’s something here that keeps drawing me back to the game, over and over and over again. But what is it? 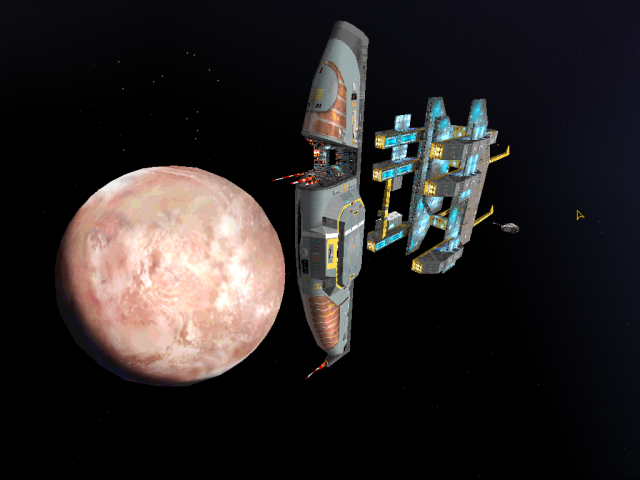 With the upcoming HD re-releases of the original games and the promising-looking Homeworld: Shipbreakers under development, I think that it’s time to see if I can put my finger on what exactly that magic is. It’s a rare thing to come across these days, but the original Homeworld came with a nice thick hardcopy manual. It covered all of the basic stuff (ship types, basic commands) but what I loved best was the ~70 page historical and technical brief (downloadable here). It was chock-full of the history of Kharak and its people, detailed cultural breakdowns of the different clans (“Kiithid”) that made up Kharakid culture, discussion of the different technologies that were employed in traveling through deep space, and more. Little did I know that this was all setup for one of the more memorable bait-and-switches of my young adulthood . . . but we’ll get to that in a moment. Homeworld’s story revolves around the inhabitants of Kharak. The historical brief details 3,000 years of survival on a harsh desert world; it chronicles countless lives spent in endless combat with each other and with the encroaching sands. The Guidestone united the Kiithid in pursuit of a common goal: returning to their rightful home. A massive colony ship was designed and built to reclaim the Kharaki ven with the combined effort of everyone on Kharak, it took over 60 years to construct. 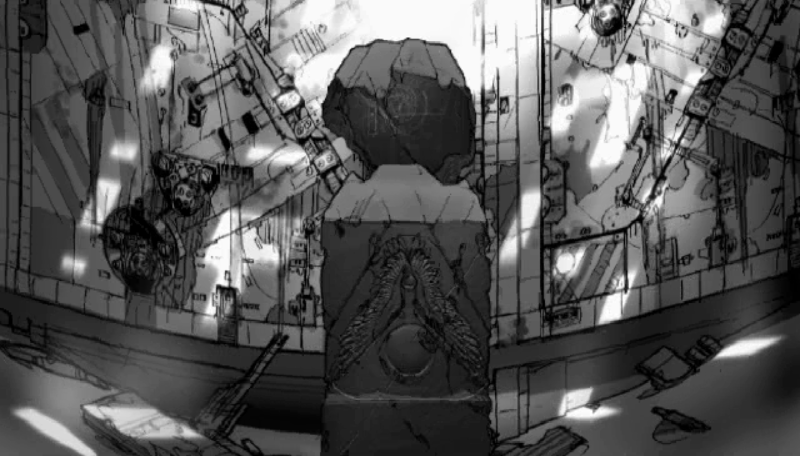 It is the mothership, and it’s your home throughout the campaign. Sure, you could skip all of this if you wanted. You didn’t have to read the Historical and Technical Briefing if you didn’t want to. There’s enough covered in the Homeworld Intro to get you started. But I did read it. I gobbled it up, before even setting CD to disk tray, and I loved every word of it. Can you imagine that now? A game that expects the player to read more than 70 pages of information before even starting to play? Corporate leadership would laugh such a game developer out of their offices . . . and yet this is one of my favorite parts of the game. Anyway, upon completion of the mothership, you’re instructed to take it on a shakedown cruise to test the hyperspace core. Somewhat predictably . . . The Mothership survives the jump, but their support ship has been destroyed by pirates. Fortunately the pirates have bitten off more than they can chew with the mothership and are sent running (for the time being). The narrator tells you to head home and complete the mothership’s construction. The briefing outlines what should be another slight increase in the game’s tension, and you’re ready for something slightly more difficult than before . . . The planet is gone, consumed in a nuclear firestorm. But there’s no time to explain. 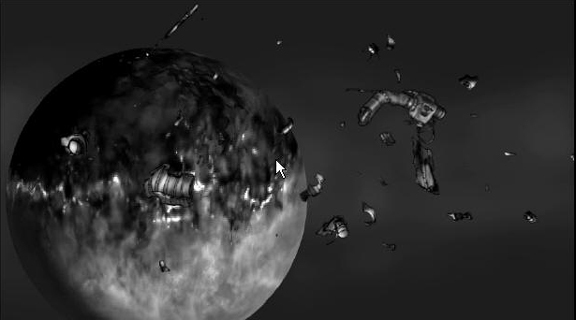 There are hostile alien ships in orbit, and they’re targeting the remaining survivors. As you deal with the chaos of fighting a technologically-superior, alien foe, the story is fed to you bit by bit. How Do You Make The Player Grieve? Games typically appeal to a narrow subset of emotions, and grief is not usually among them. When they succeed at inspiring grief, though, it can be devastating (think of Aeris’s death in Final Fantasy VII, for example). The burning of Kharak is one of the few moments that I’ve heard multiple gamers describe as “heartbreaking.” Why? Why is it so powerful? It certainly isn’t in the portrayal of this near-genocide–all we see is an expanding black splotch on the surface of a tan disc followed by a pair of chilling still images in the following cutscreen. There are no faces contorted in terror, there is no Aeris getting stabbed by Sephiroth . . . there is no representation of the human form at all, actually. So why do we grieve? And what are we grieving for? And that’s the point of grief. As players, we aren’t really TOO upset about losing someone that we’ve just met. Honestly, do you remember getting teary-eyed at the burned corpses of Uncle Own and Aunt Beru in “A New Hope?” Neither do I. But Relic was craftier than that; they created a deep, interesting, compelling world with just enough backstory to really whet our narrative appetite. And just as we thought we knew what to expect–just when we thought this was all going to go down in typical vanilla sci-fi fashion–BAM! They took everything we were comfortable with away from us. It’s designed to emotionally tie us to the story. It’s not just the surviving exiles who have sworn revenge against the Taiidan Empire. We, as players, have had something that we cared about taken from us. And now we want blood. As further musings on that moment: I strongly suspect that, as much as the buildup of the culture of the Hiigarans on Kharak was key to giving the initial reveal an emotional impact, the details of the mission itself were just as important to guarantee that the emotions lasted long enough to set the tone and incubate the memory. “Kharak is burning” hurt, yes. The emotions had their crescendo, though, when I heard that terrible, glorious harmony of the background music’s climax combined with the salvage corvettes laying tractors on the cryo pods. That’s when it hit me: I’m rescuing the last of the Hiigaran race. That’s it. That is all that’s left. I was crying for the rest of the mission. Without the music and the cryo pod plot device, the dry details of “Kharak is burning” would not, to me, be anywhere near as memorable, even if the actual line is what sticks out the most because of the dramatic timing. I suppose I should’ve mentioned more–the music in particular. Samuel Barber and “Adagio for Strings” is so connected to the game now in my memory that I can hardly separate the two. And the way that the destruction of Kharak is described from the Taiidani perspective via flight recorder playback–utterly passionless, completely clinical–does a lot to twist the blade. But yeah, I agree. Either way, we’re talking about the same thing–a word of backstory, erased except for the half-million or so survivors crammed into the cryogenic holding pods on board the mothership. It’s a testament to the writing talent behind the backstory that we can get this emotional over a fictional near-genocide. The way that the player has a hand in it, too, makes it more personal than it would be otherwise. It was the player’s order that launched the mothership into hyperspace, the player that fought off the Turanic raiders in the outer Kharak system . . . all those little gameplay choices have transformed a passive backstory into something actually living and breathing in the player’s hands . . . it’s alive just long enough for the Taiidan to smash its head in. I meant to make this point as well, tie the discussion back into some of my other writing a little more, but I forgot. Also, I’ve never been able to save all six trays, except for the very first time I played the game. Weird, huh?